Israel’s long-term strategic goal is the elimination of Hamas control of Gaza. This is especially the goal of the Kadima and Labor parties, which are distinguished by their commitment to a negotiated final status agreement with the Palestinian Authority led by Mahmoud Abbas. The Hamas takeover in Gaza reduced Abbas to a provincial governor, who no longer represents effective authority in all the areas destined for a future Palestinian state. Hamas rule in Gaza is a bone in the throat of the “peace process”—one Israel is determined to remove. Struggle over Sanctions. But how? After the Hamas takeover in June 2007, Israel imposed a regime of economic sanctions on Gaza, by constricting the flow of goods and materials into Gaza via its crossings to Israel. The idea was gradually to undermine the popularity of Hamas in Gaza, while at the same time bolstering Abbas. 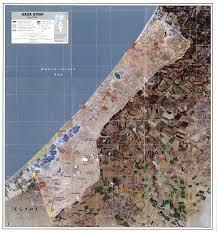 Israel enjoyed considerable success in this approach. While the diplomatic “peace process” with Abbas didn’t move very far, the West Bank enjoyed an economic boomlet, as Israel removed checkpoints and facilitated the movement of capital, goods, workers, and foreign tourists. So while Gaza languished under sanctions, with zero growth, the West Bank visibly prospered—reinforcing the message that “Islamic resistance” is a dead end. Hamas in power, from the outset, sought to break out of what it has called the Israeli “siege” by firing rockets into Israel. Its quid pro quo was an end to Hamas rocket fire in exchange for a lifting of the Israeli “siege.” When Israel and Hamas reached an agreement for “calm” last June, Hamas hoped the sanctions would be lifted as well, and Israel did increase the flow through the crossing points, by about 50 percent. Fuel supplies were restored to previous levels. But Hamas was fully aware that sanctions were slowly eroding its base and contradicting its narrative that “resistance” pays. This is why it refused to renew the “calm” agreement after its six-month expiration, and renewed rocket fire. Were Israel to lift the economic sanctions, it would transform Hamas control of Gaza into a permanent fact, solidify the division of the West Bank and Gaza, and undermine both Israel and Abbas by showing that violent “resistance” to Israel produces better results than peaceful compromise and cooperation. Rewarding “resistance” just produces more of it. So Israel’s war aim is very straightforward, and it is not simply a total cease-fire. At the very least, it is a total cease-fire that also leaves the sanctions against Hamas in place. This would place Israel in an advantageous position to bring about the collapse of Hamas rule sometime in the future—its long-term objective. Cease-Fire on Israel’s Terms. The Israeli operation is meant to impress on Hamas that there is something far worse than the sanctions—that Israel is capable of hunting Hamas on air, sea, and land, at tremendous cost to Hamas and minimal cost to Israel, while much of the world stands by, and parts of it (including some Arabs) quietly applaud. Israel’s aim is not to bring down Hamas at this stage, but to compel it to accept a cease-fire on Israel’s terms—terms that leave the sanctions in place. Many Western and Arab governments see the logic of this. They would like to see Abbas and the Palestinian Authority back in authority over Gaza, thus restoring credibility to the “peace process.” Because they wish to see Hamas contained if not diminished, they have moved slowly or not at all to respond to calls for action to stop the fighting. The question now is how Israel turns its military moves into political moves that achieve the shared objectives of this coalition of convenience. A hint of the solution Israel envisions comes from a senior Israeli diplomatic source: “Israel cannot agree that the only party responsible for implementing and regulating the cease-fire be Hamas.” Israel’s objective is to put another player on the ground in Gaza, which over time would be positioned to undermine Hamas. And since the objective is gradually restoring Gaza to control by Abbas and the Palestinian Authority, it seems logical to assume that this mechanism will be designed to enforce Hamas submission to that authority. Hamas would swallow the pill in the name of “national unity,” but it would become beholden to the PA. It is the PA, for example, which could be reinserted at the Egyptian border crossing at Rafah (as already demanded by Egypt). It is the PA that could be given exclusive control of reconstruction budgets to repair damaged and destroyed ministries, mosques, and homes. (In the eventual reconstruction boom, Israel will hold all the cards: Gaza has no construction materials, and gravel, aggregate, and cement must be trucked in from Israel.) The premise is that if economic sanctions are to be lifted—and post-war Gaza will be desperately in need of all material things—it must only be through the agency of the PA. Finally, PA security forces could be reintroduced in a police capacity, as part of the “national” reconciliation. An envelope for this restoration of the PA could be provided by the international community. It isn’t impossible that Israel would go beyond its declared aims and bring Hamas down if Hamas appeared sufficiently damaged by initial ground operations. If Israeli forces are positioned to do this, and Hamas begins to unravel, the impetus to finish the job would be strong. This could make for a much quicker handoff to the PA, via some internationalized body. Israeli disavowals of interest in this outcome, at this time, should be taken with a grain of salt. Israel won’t miss an opportunity if it presents itself. Possible Complications. What could go wrong with this scenario? A lot. Hamas assumes (probably correctly) that its Palestinian opponents fed Israel with much of the intelligence it needed to wage precision warfare against Hamas. There is likely to be a vicious settling of scores as soon as a cease-fire is in place, if not before, and which could approximate a civil war. This could open space for small groups like Islamic Jihad and other gangs, which could shoot off rockets at their own initiative (or that of Iran). If something can go wrong in Gaza, there is a good chance it will. Much of the aftermath will have to be improvised, and much will depend on how thoroughly Israel has degraded the capabilities of Hamas. If Hamas remains a player, the biggest risk to Israel is that the mechanism created through diplomacy to “implement and regulate” ends up legitimating Hamas. The temptation to “engage” Hamas has grown in Europe, and even among some Americans, ever since the Hamas victory in the 2006 legislative council elections. As diplomats work to put together a cease-fire mechanism, Hamas will work hard to tempt governments to talk to it, persuading them to skirt the Quartet’s insistence that Hamas not be “engaged” until it accepts past PA-Israel agreements, recognizes Israel, and renounces armed struggle. Legitimation of Hamas could seal the fate of the “peace process,” and give “resistance” the reputation of a truly winning strategy. The United States will have to assure that all contact with Hamas runs exclusively through the Egyptians, the Saudis, the Turks, and above all, the PA. Europe and the United States must stay well out of the diplomatic reach of Hamas, until it meets the Quartet conditions—a highly improbable prospect. Politics Will Return. As with any multi-stage plan, Israel’s appears clearer at the outset and fuzzier in the later stages, where consensus dissipates. In particular, the opposition Likud has less confidence in Abbas and the “peace process” as presently configured. While it is adamant about ending Hamas rule in Gaza, it would be much less concerned with restoring the unity of the Palestinians. As Israel achieves its military aims, underlying political differences, now suppressed, are bound to surface, especially as elections are only a month away. But for now, Israel is united in pursuing its war of demolition against Hamas. Its aim is not only to stop the rockets from falling in southern Israel, but to move a long stride forward toward a change of regime in Gaza. This post originally appeared in the series On Second Thought, published by the Adelson Institute for Strategic Studies, Shalem Center, Jerusalem.